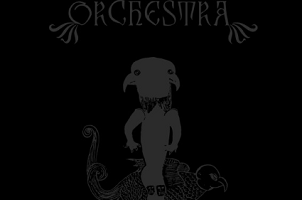 Quite hard to score this one, only because Therion leader Christofer Johnsson has freely admitted the release of his Beloved Antichrist rock opera should have been preceded by the actual intended stage production, but here it is: three discs in the band’s sweeping symphonic metal glory. Truth is, there’s always room for the Swedes, who are one of the real originators of symphonic/opera metal, whose sprawl and never-ending substance bore the likes of 1996’s Theli, its 1998 follow-up Vovin, and of course, the invincible Lemuria/Sirius B dual release of 2004. Therion does pomp and the “overblown” better than anyone; there’s no surprise Beloved Antichrist goes above and beyond. The three discs comprise 46 songs, so it’s a long, adventurous stage production/album to get through, full of the necessary peaks and valleys, storyline arc fluctuations and more. The band’s metallic sheen has worn ever so slightly; there’s no daring heaviness like there was in years’ past, but the cuts do hustle in heaviness, are rock-solid, like “Where Will You Go?”, “Morning Has Broken” and “Garden of Peace,” and this is just us rifling through the first 17 songs. How and why Beloved Antichrist stays above ground is largely due to the vocal interplay between Thomas Vikström (he of Chapter VI Candlemass fame) and Lori Lewis, an American who is as good, if not better than any other female vocalist who has passed through the female ranks. The two are charged with bringing the story, which is a sort of a reverse-Jesus Christ Superstar, where the antichrist, in his subsequent being and glory, is exalted. Even without accompanying visuals, it’s fully-immersive, if not adventurous stuff. 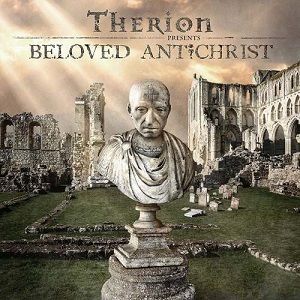 Sonically — if a connection is at all possible — Beloved Antichrist veers closest to 2001’s Secret of the Runes, often a misunderstood album in Therion’s canon. The same may apply to Beloved Antichrist, an album whose drama is unsurpassed. If anything, it’s the album Therion has always been threatening to make.